Looking to experience the best of the UK on a road trip? We've planned the ultimate south England road trip just for you. 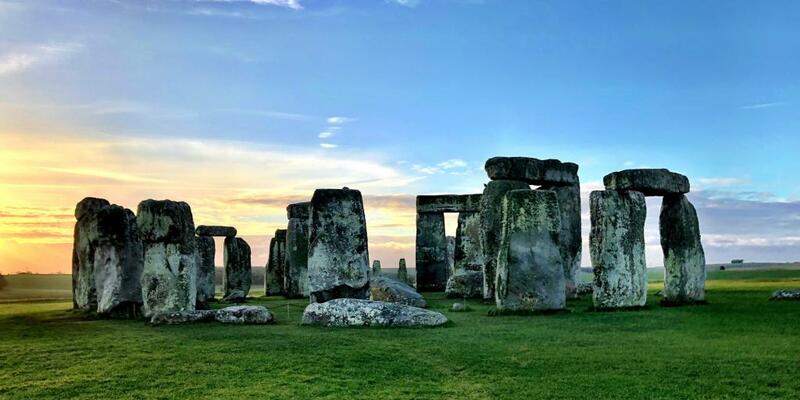 It's an epic 12 day round trip from London, taking in some of the major cities like Oxford, Bath, Bristol and Exeter, before cruising along the Jurassic Coast, hitting up Stonehenge, and heading along the south coast to Brighton. Read on for all the best restaurants to eat at, museums to visit, hotels to stay in and activities to do. Welcome to the first day of your road trip! Arrive in London as early as possible, pick up your hire car if you're renting one, and set off for Oxford. The drive is only 60 miles direct along the A40 and M40 and takes about an hour and 45 minutes. Parking in Oxford is pretty easy if you can't leave your car at your hotel, with a good number of car parks available that allow you to stay overnight. If you want to leave your car in the city centre, then opt for Oxpens car park, or for a park-and-ride service Redbridge is your best bet. Once you've made it into town, make your way to the Vaults & Garden Cafe for some food. Housed in a 14th-century building with a beautiful vaulted ceiling connected to the University Church of St Mary the Virgin, this cafe will give you an introduction to the historic city you're about to explore, with the addition of some great breakfast. Lunch is served between 11am and 2pm, and includes dishes from all over the world such as curries, tagines, and of course British delicacies. Enjoy your food either inside beneath the vaults or outside in the garden. The cafe sources all local, organic and ethically sourced ingredients, and operates a 'no waste catering' policy, so it's a great business to support. 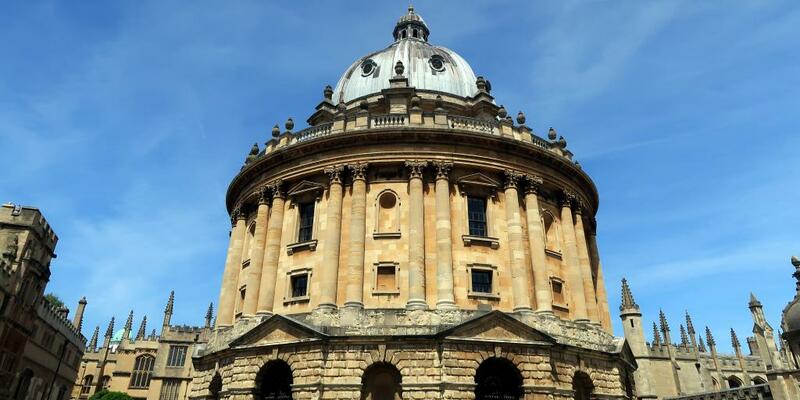 Conveniently, the cafe is located right next to your first Oxford stop, Radcliffe Square, so once you've finished your brunch step outside and begin your sightseeing. Cobbled Radcliffe Square forms the heart of the University, and is home to three main sights: Bodleian Library, Radcliffe Camera (also a library), and University Church of St Mary the Virgin. The Bodleian Library will be the main place you visit, and includes the ornate Divinity School (the oldest teaching hall of the University), Convocation House (two grand chambers which have hosted the English Parliament), the Chancellor's Court (where writers Oscar Wilde and Percy Bysshe Shelley went on trial), and Gladstone Link which connects the library with Radcliffe Camera. 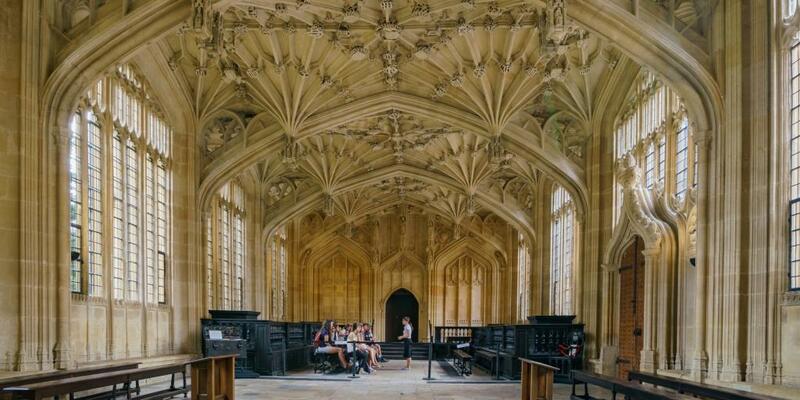 Fun fact: parts of the Bodleian Library were used as filming locations for the Harry Potter movies, including the Divinity School which served as the Hogwarts hospital wing, and Duke Humfrey's Library which you might recognise from Harry's late-night library trip under the invisibility cloak in the first movie. A 30-minute tour which takes you round the most beautiful parts of the Bodleian Library, including the Divinity School and Duke Humfrey's medieval library. The tour costs £6 and runs regularly every afternoon. A 60-minute tour that covers the same as the 30-minute option with the addition of Convocation House and Chancellor's Court. This tour costs £9 and runs regularly every morning. A 90-minute tour which includes all of the above plus the Radcliffe Camera (only available to view through this tour) and Gladstone Link. This tour costs £15 and only runs on Wednesdays and Saturdays at 9.15am, and Sundays at 11.15am and 1.15pm. There is also a short option that lasts ten minutes and takes you around the Divinity School only. This costs £1 and runs between 9am and 5pm Monday to Saturday, and from 11am to 5pm on Sundays. Note: the majority of what you'll visit in Oxford is connected to Oxford University, so we advise downloading the 'Explore the University of Oxford' brochure from their website to guide you. 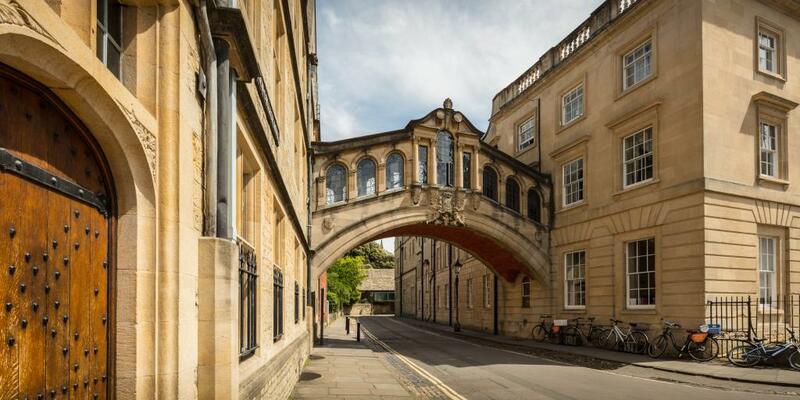 Another iconic Oxford landmark, the Bridge of Sighs, is just around the corner from the main entrance to the Library, so head there next. Located on New College Lane, the bridge is a skyway connecting the old and new quadrangles of Hereford College, and bears an uncanny resemblance to the bridge of the same name in Venice. Legend has it that the bridge borrowed this name from its Venetian cousin to symbolise the sighs of worrying students on their way to exams, but that's just one of many myths to do with this landmark. Walk under the bridge, snap some photos, and let out some symbolic signs of your own before you move on. 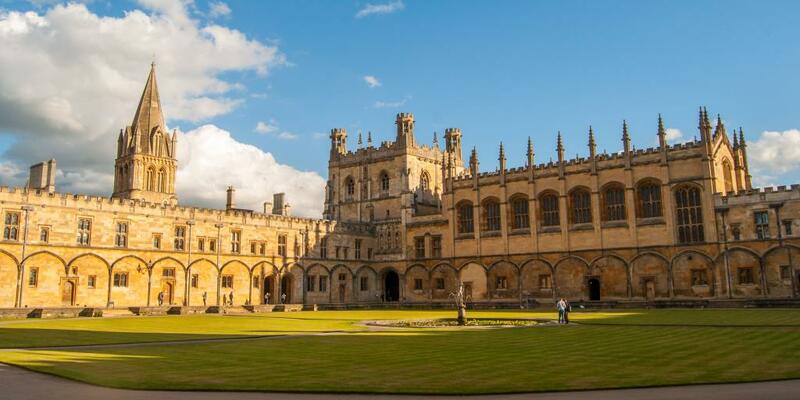 A trip to Oxford wouldn't be complete without a nosey round one of the University colleges, so take a picturesque stroll from the Bridge past Exeter, Jesus, and Lincoln Colleges to get to one of the largest and most famous - Christ Church. This college is made up of a group of stunning buildings, including the Tom Tower designed by Sir Christopher Wren (of St Paul's Cathedral fame), the Tom Quad, the largest quad in Oxford, and the Great Dining Hall which also featured in Harry Potter. This college's list of alumni is also super impressive, including 13 British prime ministers and the author of Alice in Wonderland. Today, the college welcomes around 450 undergraduates and 150 graduate students from all over the world to study at this historic, prestigious institution, mingling modern student life with rich history. Standard admission to tour the college costs £8 to £10 (depending on the time of year) and grants access to the Quads, Cloister, Hall Staircase, and Dining Hall, with tickets available online (released each Thursday for the following week), or from the Meadow Gate ticket kiosk. You can opt for an hour-long tour if you prefer which cost between £13 and £17, but be aware that this isn't possible in July and August. Note: if areas of the college are in use by the students or staff during your visit they may be closed; for example, you won't be able to visit the Dining Hall during meal times. 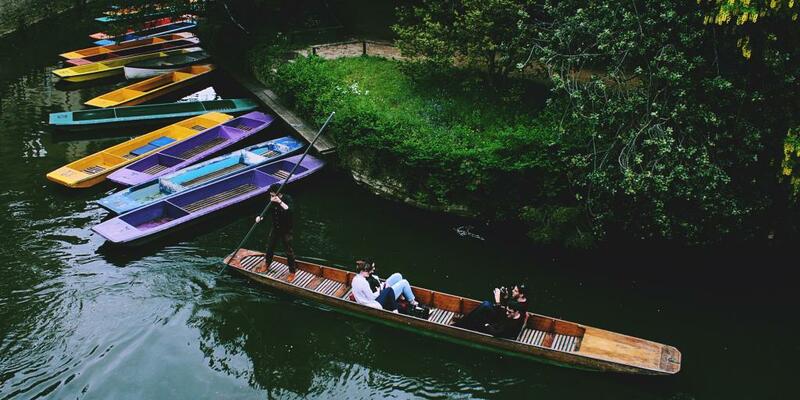 You should have a little time left before it gets dark, so walk east from Christ Church to the Magdalen Bridge Boat House to hire a traditional punt. Punts take up to five people, and you can either hire one and brave steering it yourself, or pay a professional chauffeur to take you along the river; we'd recommend going without the driver, as steering is great fun and not very difficult once you get the hang of it! Punts cost £22 per hour to hire. Collapse at your hotel for a while after your busy day, then hop in the car and drive to Gee's Restaurant & Bar for dinner. Although the restaurant isn't that far away (it's around a ten-minute drive), we're guessing you'll be all walked-out by this point, so take the car and park on Canterbury Road where you can stay for free for two hours. This Mediterranean restaurant is housed in a beautiful Victorian Glasshouse filled with plants and olive trees, and has a menu that changes daily to reflect the best of the season. Expect great vegetarian options as well as delicious meat and fish dishes, plus a tempting cocktail list to go alongside your food (with non-alcoholic concoctions available for whomever's driving). Have breakfast and set off early on day four to drive to Bath. Rather than connecting with the M4 when you reach Swindon, take a scenic detour by following the A419 up to Cirencester, then wriggling south through the country lanes of the Cotswolds. 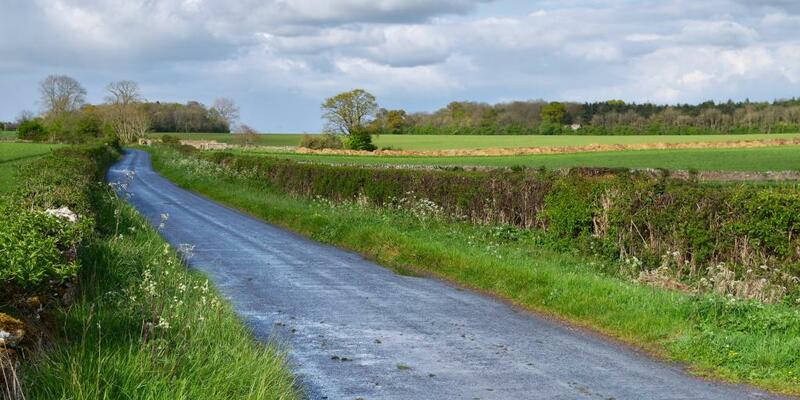 This route beats taking a boring motorway any day, and will take you past sprawling green fields and quaint British villages for a taste of rural England. The drive should take around two hours, but take your time on the small country roads - passing other vehicles can be a tricky manoeuvre! Travel tip: if you're a less confident driver and don't fancy squeezing past other cars on tight lanes, then follow the A433 - it's still really scenic, just a little wider! Park the car in Manvers Street car park which is a short walk from the centre of town. You have to pay upfront for the number of hours you're going to stay, so have a rough idea of what time you want to leave to arrive in Bristol later on. Staying for four hours costs £6.40, and for six hours costs £9.60. The Roman Baths are just a five-minute walk from the car park, so head there first. Probably the most iconic landmark in the city, this complex of thermal baths is a well-preserved Roman site that was once used for public bathing. Geothermal energy and pressure cause the warm water to rise from thousands of metres under the ground to the surface, supplying both these ancient baths and the modern Thermae Bath Spa with steaming hot water. You can't bathe in the Roman Baths anymore, but nearby Thermae Bath Spa is a beautiful modern complex where you can safely enjoy water from the same source, if you want to. It's thought that the baths could have also been a centre of worship for the Celts, with the springs dedicated to the goddess Sulis, so this is a spiritual as well as recreational landmark to visit. 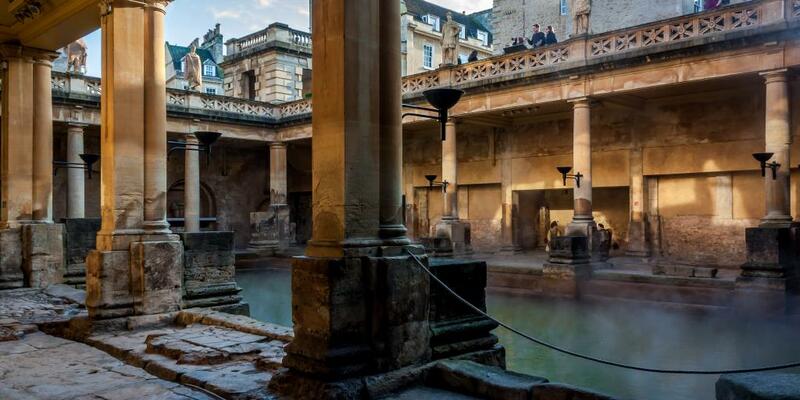 Admission costs £16.50 and grants you access to all areas of the Baths, including the Great Bath, the Temple Precinct where the Romans once worshipped, the changing areas of the East Baths, and the icy plunge pool of the West Baths. Your ticket includes a free multimedia guide available in 12 languages, and also allows you to join informative public tours that start at the Great Bath on the hour every hour from 10am. By the time you've finished at the Baths it'll be time for lunch, so grab a quick bite nearby. There are loads of great cafes in the area, but we recommend Mokoko Coffee which serves up generous plates of colourful salads and slices of quiche that'll be sure to fill you up for the rest of your Bath exploring. Mokoko and the Baths are right next to Bath Abbey, so have a quick look at this historic church before moving on to explore the rest of town. 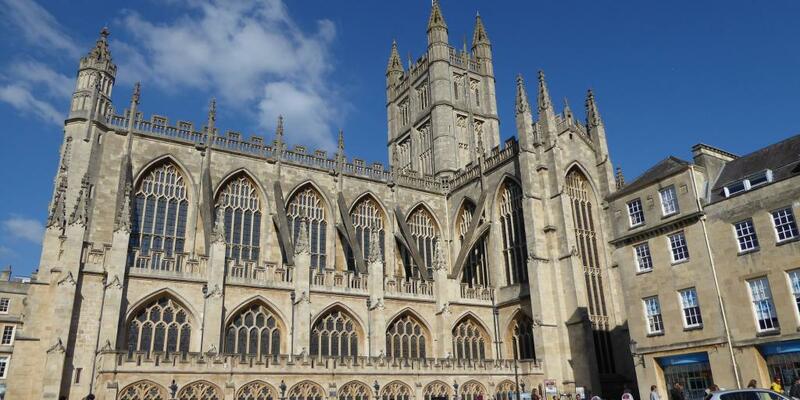 Built with iconic golden Bath stone, it's definitely worth popping inside this towering Gothic abbey, even just for a quick gaze at the vaulted ceiling, impressive stained glass windows, and huge organ. It's free to go inside, but it's recommended that adults give a donation of £4 which goes towards maintaining this beautiful building. From here stroll up Union Street and through the main pedestrianised shopping area, taking in the historic buildings and enjoying Bath's friendly atmosphere - travel tip: if you're visiting around Christmas, you'll find many of it's Christmas market stalls here. Connect up with Milsom Street, then cross over the A4 and walk up tiny Bartlett Street, passing its cosy cafes and boutique shops which lead to the elegant 18th century Bath Assembly Rooms. Admire the outside of this beautiful building, before heading west on Bennett Street to The Circus - a historic ring of Georgian townhouses that will make you envy anyone lucky enough to live there. Continue walking west from here and you'll get to an even bigger curve of impressive houses at the Royal Crescent. Synonymous with Bath, this half-moon of houses is a must-see attraction, and one of the greatest examples of Georgian architecture in the whole of the UK. The crescent overlooks a pristine green lawn, so just enjoy this space and snap some photos of the houses, or if your curiosity gets the better of you, number one is a museum that has been furnished as it might have been in the 18th century, so you can get a feel for how it's residents would have lived. Admission costs £10.30 for adults. Walk back to The Circus then south down Gay Street to Queen Square where you'll find Colonna and Small's in the southwestern corner. 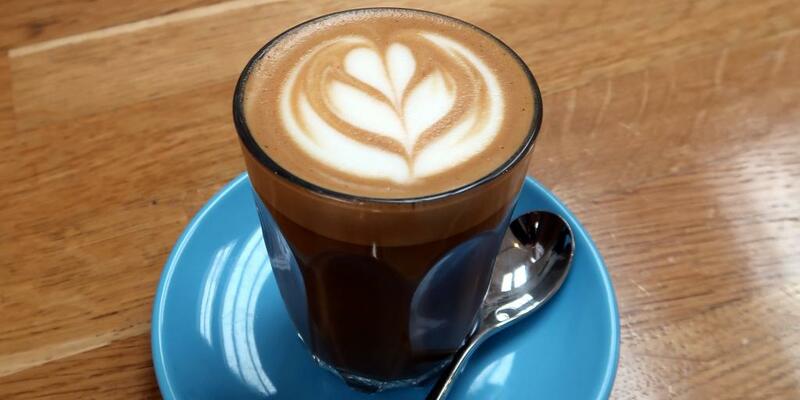 This speciality coffee shop is all about the vibrant, varied, and exciting flavours that come from coffee beans, serving up the ultimate brew. The modern interiors are chic and minimalist whilst remaining cosy, and the staff are really friendly and on hand to talk you through the options and suggest which bean and style of coffee would be ideal for you. If you love coffee or you're in the market for learning more about it, then this is the place to go. Relax with your ideal coffee, buy a bag of beans to take home, and head back to the car to drive to Bristol. Driving to Bristol from Bath is super easy and takes less than an hour - simply follow the A36 and A4 to join up with Victoria Street in Bristol. Find your hotel, park your car, freshen up and head to Clifton Village for dinner. This is one of the nicest areas of the city, made up of stunning Georgian houses, leafy green spaces, elegant boutiques, amazing cafes and restaurants, and the iconic Clifton Suspension Bridge. You'll be back in Clifton on day five to really make the most of this picturesque area of town, but for now head to Bosco Pizzeria for a well-earned dinner. This classy pizza joint is actually the offshoot of its hugely successful original restaurant on Whiteladies Road, and is a celebration of the freshness and simplicity of Italian cooking. There are loads of different dishes on the menu, including mouthwatering pasta, tasty small plates, and hearty meat and fish options, however the real star of the show is their wood-fired pizza which is made fresh to order in the open pizza kitchen in the centre of the restaurant. For the meat-eaters among you, we'd recommend the Emilia Romagna topped with Italian sausage, creamy fior di latte mozzarella, sweet roasted peppers, basil, and crunchy breadcrumbs, and for the veggies the funghi - a pizza bianco (with a creamy instead of tomatoey base) topped with mushrooms, mozzarella, mascarpone, and truffle oil (yes, it's as good as it sounds). Book ahead online to ensure you get a table, and order a Negroni or Aperol Spritz to sip as you wait for your food to arrive. 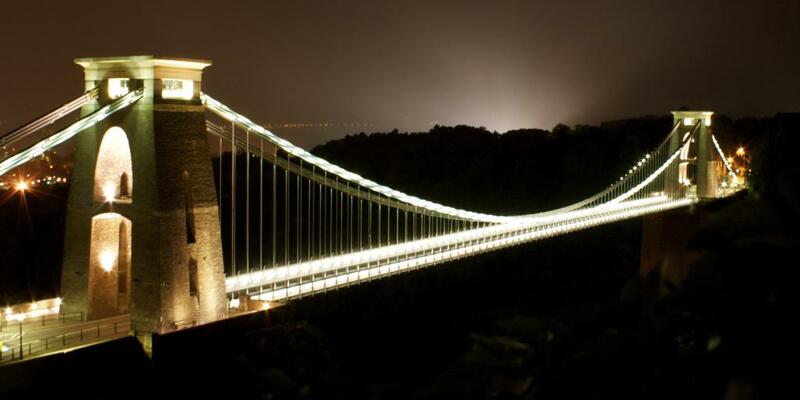 Seeing as you're in Clifton after sundown, walk around the corner to the Clifton Suspension Bridge; you'll see it again on day five, however it's quite a different sight admiring it all lit up and floating above the Avon Gorge at night. Designed by world-renowned engineer Isambard Kingdom Brunel, this bridge has become one of Bristol's most recognisable landmarks, so it's the ideal way to kick off your sightseeing. Gaze at the lights for a while, then head back to your hotel to get some rest ready for a busy day five. Kick off day five at Bristol Harbourside. This central area of the city was once a busy dock, buzzing with merchants trading goods and ships setting sail for epic voyages. Today it's a little more modern, and filled with restaurants, bars, shops, and hotels, as well as some of the city's top attractions including Brunel's SS Great Britain ship, the We The Curious science museum, Bristol Aquarium, and the Watershed independent cinema. 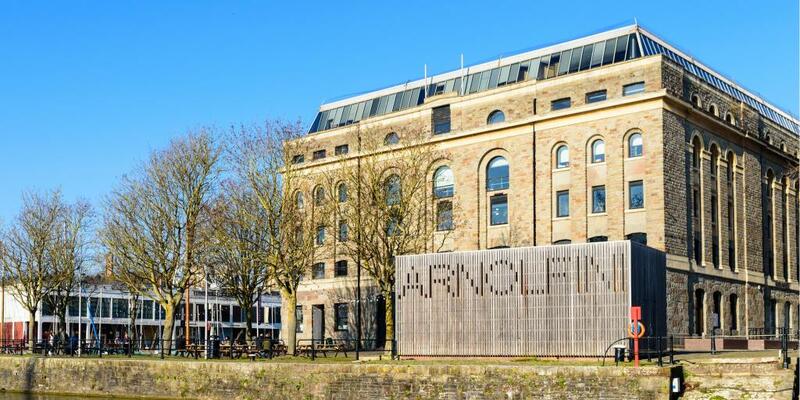 Have a walk around the area, then head to the Arnolfini arts centre as your first stop. Founded in 1961, this modern gallery space exhibits everything from quirky art to visual performances, and is a must-see Bristol attraction to get a feel for this city's creative flare. The centre is predominantly an art gallery and is partnered with the famous Tate, so expect some great visual art during your visit. The centre is free to enter, however it's a good idea to drop a few pounds into the donations pot as it's a charity that relies on the generosity of its visitors to run. When you leave the gallery, head north towards the Bristol Hippodrome theatre, then east past College Green and Bristol Cathedral to walk up famous Park Street. 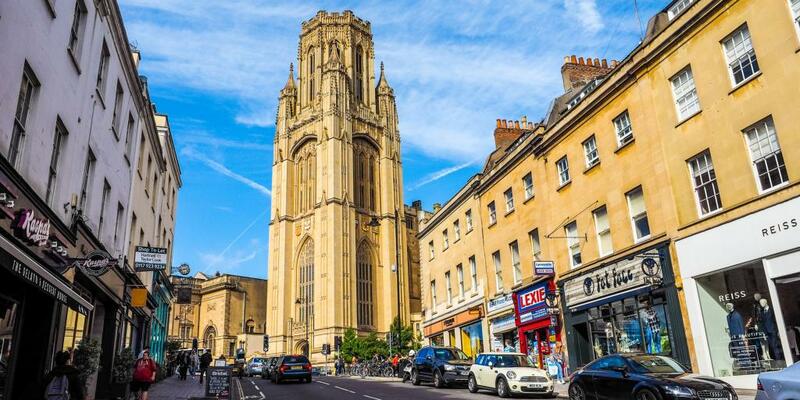 This hill is lined with boutique, music, and book shops as well as quaint cafes, cosy restaurants, and lively bars, and offers a super scenic walk with the University of Bristol's towering Wills Memorial building at the top. Before you head up the hill make sure you spot one of Bristol's most famous pieces of street art by the elusive graffiti artist Banksy, one of the city's most famous natives. The piece, provocatively named 'Well Hung Lover', is painted on the side of a building on the right hand side at the bottom of the street. Once you've admired the graffiti continue walking most of the way up the hill, dipping into the shops to give your legs a rest (it's pretty steep). Just before you reach the top, turn left onto Charlotte Street to get to Brandon Hill park. 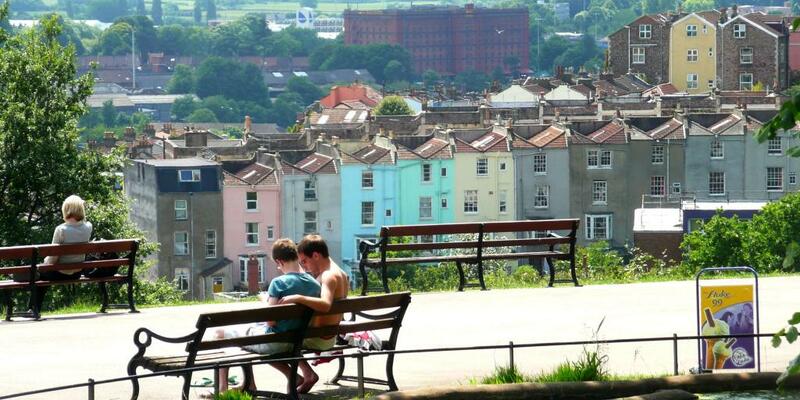 The park is, you guessed it, on top of a hill, so you get amazing views of Bristol's rows of colourful houses and the sprawling countryside just outside its limits. For even better views and a proper look at the Wills Memorial building, climb to the top of Cabot Tower located in the centre of the park. The tower is a free public fixture, so climb its narrow staircase and make sure you walk the full way around the viewing area at the top for 360 degree views of the city. Leave via the north end of the park and make your way through Berkeley Square to Queen's Road. Walk past the Wills Memorial to see it up close, then follow the road east towards the Royal West of England Academy, an art school and gallery which is home to The Epiphany Cafe. This stylish, fuss-free cafe is super friendly and welcoming, and all about award-winning coffee, the freshest locally sourced ingredients, and mouth-watering cakes, making it an amazing lunch spot. Their offering is simple yet delicious, with a selection of toasties, soups, quiches, and salads that can all be served up in either the cosy plant-filled cafe or on the academy's roof terrace overlooking another of the University's beautiful historic buildings - the Victoria Rooms. 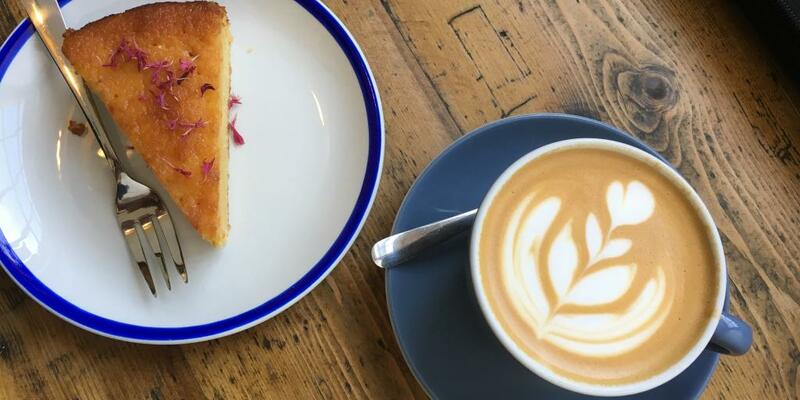 Make sure you leave room for coffee and cake (try the raspberry chocolate brownies or polenta cake if they have them on the counter that day), before you set off for your next stop, Clifton Village. From the cafe walk west into Clifton Village, following Queen's Road past the University Student Union and across grassy Victoria Square. The western corner of the square will lead you through a picturesque archway into a lovely pedestrianised area of cafes and shops that marks the start of the village. 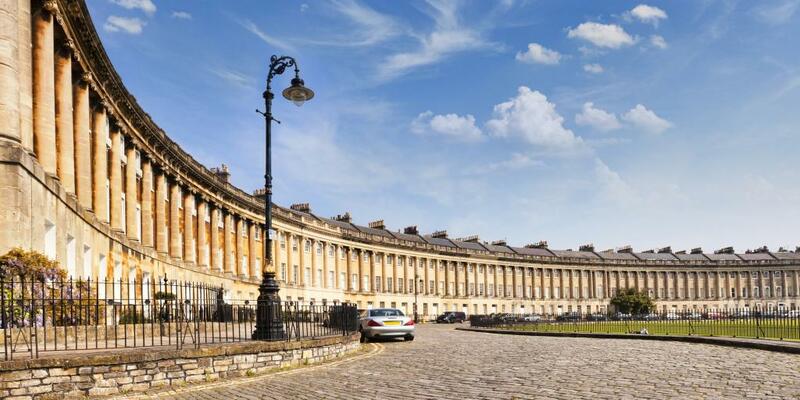 Spend some time exploring the area of your own accord - it's easy to walk around Clifton for hours admiring the beautiful houses on Royal York Crescent and the local businesses on Princess Victoria Street. Enjoy 360 degree views of the Bridge and Clifton through the Bristol Camera Obscura - This clever type of camera projects a live image of the outside through a pinprick hole, and Bristol's room-sized version allows you to see people milling around and cars cruising over the bridge in real time - it's pretty magical. Entrance to the Camera Obscura costs £2.50. Climb down to the Giant's Cave - Bristolian folklore states that two giants, Goram and Ghyston, once lived in this cave in the Avon Gorge, and today you can climb through the 61-metre long tunnel to the cave which opens out onto a viewing platform right on the cliff face. It's something a little bit different and you'll get a completely unique view of the area you can't get from anywhere else. Entry to the Giant's Cave costs £2.50. Note: if you fancy doing both things, you can get a combined ticket for £4. As the afternoon comes to a close it's about time for a drink, and there's nowhere more iconic in Bristol than the Coronation Tap. Known by locals as The Cori Tap, this centuries-old pub is the oldest cider house in the city and brews its own Exhibition cider which is exclusively sold on-site. You can only get it by the half pint because of its notoriously high alcohol content, so just have one or two whilst you soak up the pub's character. 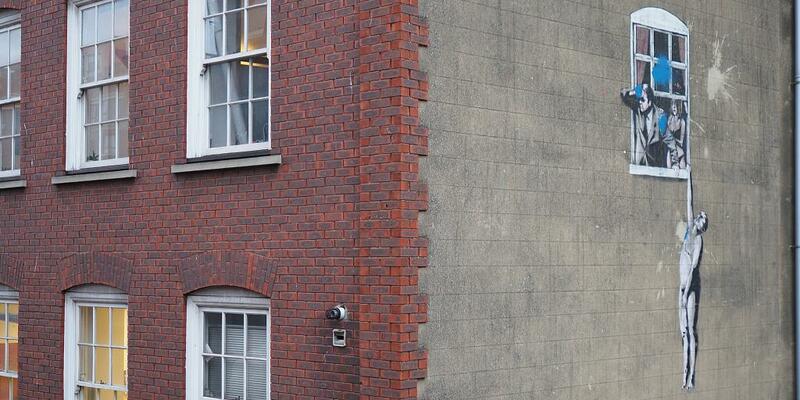 You'll find The Cori Tap in the heart of Clifton Village at the end of Portland Street. Alternatively, if strong cider isn't your thing or the evening is too nice to be sat inside a pub, head to the White Lion Bar in the Avon Gorge Hotel which has one of the biggest terraces in the South West. This outdoor area overlooks the Suspension Bridge (we've mentioned it a lot but views of the bridge don't get old, promise!) and surrounding countryside, and is heated for when things start to get a bit chilly, so you can comfortably sit back, sip your favourite drink, and enjoy your surroundings. Book ahead to make sure you get a table at Souk Kitchen for dinner on day five, then head there either straight from the bar or via your hotel. This Mediterranean restaurant has a rustic Middle Eastern feel inspired by markets and street food stalls of Arab and Berber cities, and gives diners the choice between mezze small plates and bigger main dishes. he dishes and dining style are relaxed, with warm flickering candles and colourful furnishings making it a welcoming, elegant spot for your final Bristol dinner. There are two branches of the restaurant, but opt for the one on Apsley Road as it's on the edge of Clifton. Something lively - Check ahead what's going on aboard Thekla during your stay and go to a gig. This alternative music venue is actually a boat that's permanently docked on the harbour that hosts bands and DJs, and is a really fun place to head for an evening of music. You can access most of the boat, so make sure you explore both floors and the outside deck, and it turns into a club every Thursday and Saturday (and occasionally other nights too) so you can stay and dance the night away if you want to. Something easy-going - Head to the Watershed and catch a film. This cultural arts centre focuses on digital media and is home to three cinemas screening everything from new releases, to foreign films, to old classics, and is a great place if you're in the market for a relaxed evening of entertainment. Something social -If you fancy going somewhere for a chinwag with your road trip companion then we recommend heading for a cocktail at Milk Thistle. This off-the-beaten-path prohibition bar mixes up some of the best cocktails in the city, including twists on the classics, their own unique concoctions, and tailor-made creations for their customers. Don't drink alcohol? Not a problem - just tell the skilled bartenders your favourite flavours and they'll mix you up something delicious. Leave Bristol on the morning of day six, driving south out of the city towards the Mendip Hills. 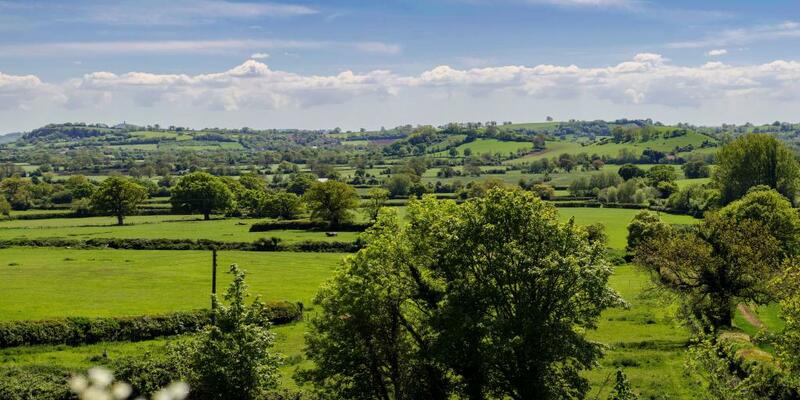 This stunning area of rolling hills and green fields offers one of the most scenic routes from Bristol to Exeter and is a really pleasant drive. As with your route through the Cotswolds you can follow the smaller country lanes if you want to, however we'd say following the bigger B3134 and B3371 is a just as scenic and hassle-free way to drive through the hills. 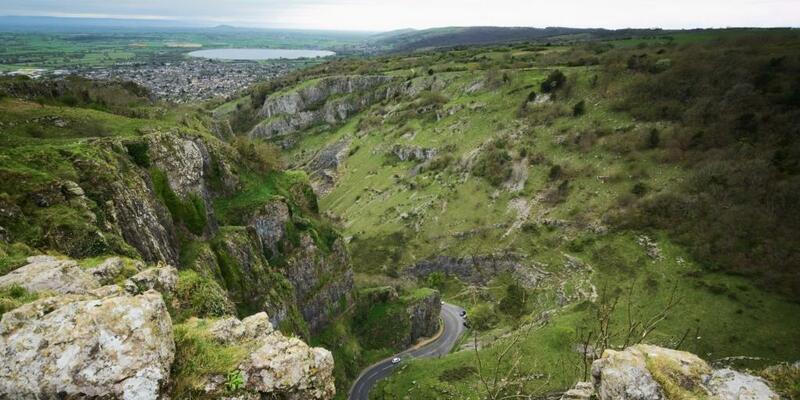 Once you've reached the end of the B3371, head west onto Cliff Road which will take you down through Cheddar Gorge. This limestone gorge is home to a number of caves, one of which is where Britain's oldest complete human skeleton, thought to be over 9,000 years old, was discovered in 1903, and has become one of Somerset's most popular tourist attractions. Either just drive through the gorge and enjoy the scenery, or stop and explore; there are loads of things to do including visiting Gough's Cave where the skeleton was discovered, climbing the 274-step Jacob's Ladder for amazing views, looking around the Museum of Prehistory, and going for a cliff-top walk. There are three car parks, however the one at Gough's Cave is the biggest with 300 spaces so that might be your best bet to find a spot. After you've spent enough time at Cheddar Gorge follow the A371 southeast to join up with Glastonbury Road which will take you south into Glastonbury town. As well as giving the famous music festival its name, Glastonbury is a really pretty, quintessentially British town to visit and is ideal for a lunch stop-off to break up your drive to Exeter. Have a walk through the town and enjoy its famously hippy culture before heading to Rainbows End Cafe on the High Street for some food. This award-winning family cafe is completely vegetarian and renowned for its homemade food. They have an inviting, colourful salad bar with loads of tasty and healthy options, as well as soups and main dishes that change daily and a selection of tempting cakes. Although everything on offer is exclusively veggie or vegan, their home-cooked, British food will satisfy even the most avid meat-eaters, so definitely choose this cafe to refuel. 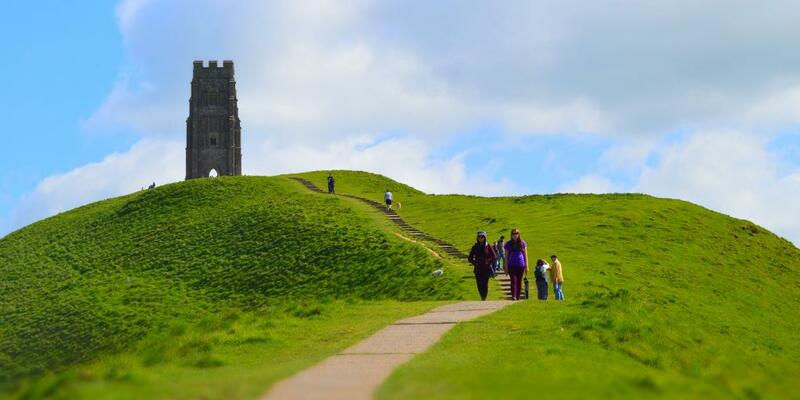 After lunch, leave the car in Glastonbury and walk to famous Glastonbury Tor (it's a short walk along the A361). 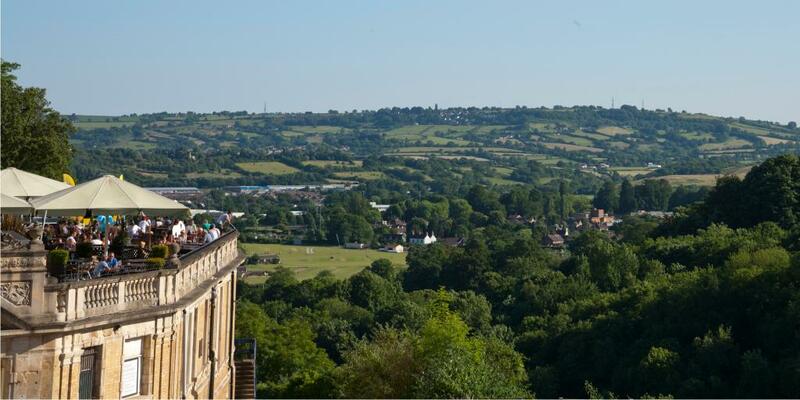 This hill rises above the town and is topped by historic St Michael's Tower (the remains of 14th century Church of St Michael) and boasts 360-degree views of the Isle of Avalon, Glastonbury, and Somerset. Make your way to the top to take in the beautiful Somerset countryside one last time before walking back into town and picking up the car to drive on to Exeter. Drive southwest along the A361 to join up with the M5 which will take you the rest of the way to Exeter, with the whole drive taking around and hour and a half. Old Firehouse - for a lively, informal meal we'd recommend going for your second pizza of the trip at the Old Firehouse. Popular with both locals and students alike thanks to its buzzing atmosphere, this pub serves up giant 14-inch square pizzas with loads of different meaty, veggie, and vegan toppings to choose from. @Angelas- this quiet restaurant it tucked away in the western quarter of the city and is a great place for a quality, relaxed meal. Serving up classic dishes using the best local and seasonal ingredients, everything is sure to be delicious and a true celebration of the area. Have a lie in to start day seven (we've given you enough early mornings! 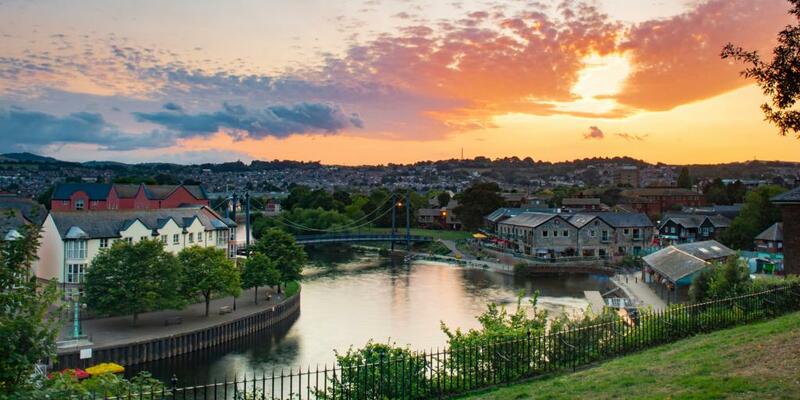 ), and set off to look around Exeter whenever you're ready; as cities go it's pretty quiet and slow-paced, so expect a more leisurely sightseeing experience compared to your time in Bristol. 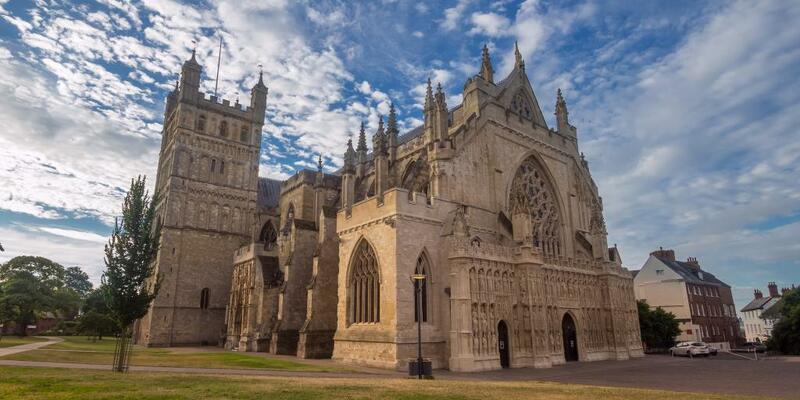 Start at Exeter Cathedral located in the centre of town. This vast church is one of the greatest cathedrals in England, and has a whole load of stunning features to look out for, including colourful stained glass windows, an ornately decorated nave, the earliest complete set of misericords, and one of the longest uninterrupted medieval vaulted ceilings in the world. It costs £7.50 to enter the church which goes towards its maintenance, and free audio guides are available to tell you all about its history. From the Cathedral, walk north for a few minutes to the Royal Albert Memorial Museum (or RAMM) for an educational peruse of the exhibitions. This museum covers a really diverse range of topics, including antiquities, fine art, natural history, and world cultures, so there's bound to be something that catches your interest. If the vast number of exhibitions is a little overwhelming, we'd recommend prioritising the art collection (which has around 7,000 pieces), and the fascinating specimens in the zoology collection. From here just have a stroll around the centre of the city, stopping for lunch when you get peckish and generally taking in Exeter's charm at your own pace. End up back at the Cathedral mid-afternoon just in time for a classic Devon cream tea at Tea on the Green cafe. This quintessentially southern British treat consists of freshly baked scones served with clotted cream and strawberry jam washed down with a cup of tea, and it's definitely the best way to spend an afternoon in Devon. Top tip: the Cornish have their own version of this tea time favourite where the scone is split in two and topped first with the jam then the cream, whereas in Devon it's strictly clotted cream first. Locals can get pretty passionate about which way round you spread your toppings, so make sure you're an honorary Devonian this tea time! Spend what's left of your afternoon enjoying Exeter Quayside, a historic yet contemporary area of the city which straddles the River Exe. Once a prehistoric port, this bustling area is full of charming antique shops, cosy cafes, and classic British pubs and restaurants, so there's plenty to choose from to occupy the last couple of hours before dinner. If you're after something a little more active after your very laid-back day, you could head to The Quay Climbing Centre - one of the South West's largest climbing walls - on the south side of the river, or rent a kayak or stand up paddle board for an hour to enjoy the water as the sun sets. You can hire kayaks and boards from Kayakhub on Maritime Court. Either go for dinner at the Quay or walk north from the river towards the Cathedral where you'll find loads of great places to eat before retiring to your hotel ready for an early start on day eight. 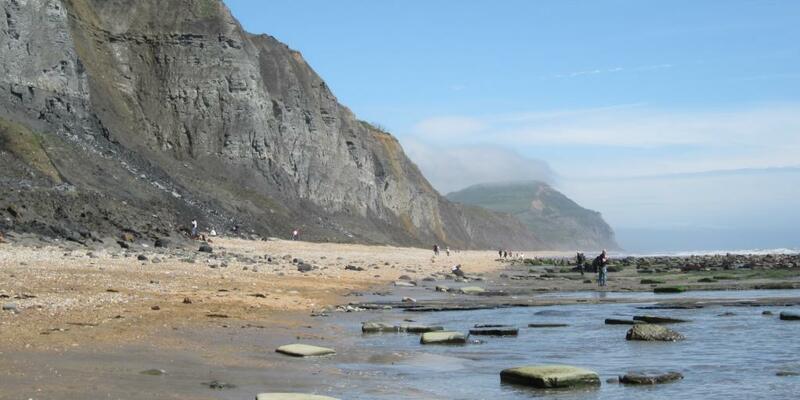 Day 6: Salisbury via the Jurassic Coast - Visit Lyme Regis & go fossil hunting in Charmouth en route to Salisbury. Time for another scenic drive! Leave Exeter as early as possible and drive south from the city to Exmouth, following the local roads all the way down to the rocky cliffs of Orcombe Point which mark the start of the stunning Jurassic Coast. This World Heritage Site stretches along 95-miles of coastline and is one of the country's most famous areas for discovering fossils and understanding the past through its incredible rock formations. You'll only be driving about half of this rocky stretch, hugging the coastline from Exmouth through the small towns of Sidmouth and Seaton to get to Lyme Regis. Wriggling through the local roads will get you to Lyme Regis in around an hour and 45 minutes, however you could just follow the A3052 all the way from Exeter and get there in an hour if you're not fussed about the scenery (although we'd strongly recommend the longer detour). 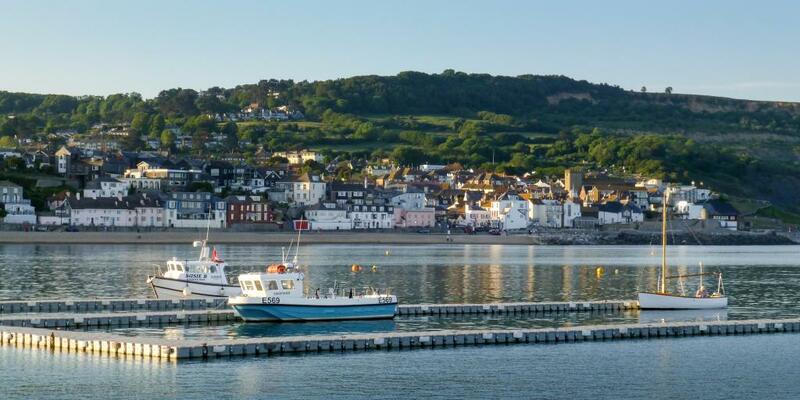 Located at the heart of the Jurassic Coast where west Dorset and east Devon meet, Lyme Regis is renowned for its beauty, so stop off here to stretch your legs and soak up the stunning landscapes. Park in Monmouth Beach Car Park then wander along The Cobb, a long stone pier which forms the harbour, and breathe in the fresh sea air. If the weather's not great and the sea is a little wild then you might not be able to make it right the way to the end of the pier, however if it's safe to do so definitely give it a go. 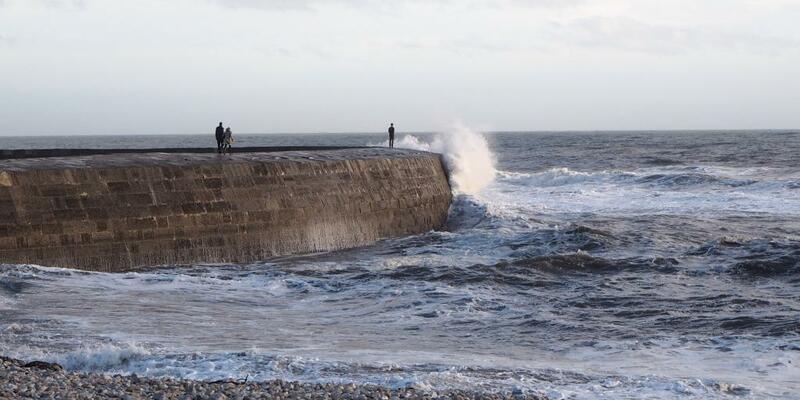 Walk back down The Cobb and have a stroll along the unspoilt seafront of Sandy Beach with its fishing boats bobbing on the water, before wandering back to the car to continue your drive. A visit to the Jurassic Coast wouldn't be complete without some fossil hunting, so hop in the car and drive a few minutes down the road to neighbouring Charmouth. This large shingle beach with its dramatic, rugged cliffs is known internationally for its fossils, so walk down the beach and see if you can find any. A visit to the Charmouth Heritage Coast Centre is a good idea if you want a higher fossil-finding success rate as they have loads of information on the best ways to find them, and even run group fossil walks if you're really serious about taking home a souvenir. Go for a classic British fish and chips with lashings of salt and vinegar for lunch before you hit the road again (Charmouth Fish Bar is your best bet for where to get it), and go back to the car to drive to Salisbury. Just follow the A35 to connect up with the A354 which should get you to Salisbury in around an hour and a half. Day eight has already been super busy, so when you arrive put your feet up in your hotel room and rest before grabbing a light dinner (portions of fish and chips are notoriously large so you'll probably still be full from lunch) and calling it a night. Wake up refreshed on day nine and head to Salisbury Cathedral. We know we've sent you to a handful of cathedrals already, however Salisbury's offering is more than just a religious building as it's home to the best preserved of the four surviving copies of Magna Carta, a charter of rights agreed to by the king in 1215 that promised justice, fairness, and human rights. This historic document inspired movements towards freedom all over the world, so is a pretty incredible sight to behold which you'll find in the Chapter House of the Cathedral. Magna Carta itself is housed in a darkened tent-like structure in the middle of an insightful, interactive exhibition that will get you clued-up on the making of the document, why it's housed in Salisbury, and its importance around the world. Have a look around the rest of the Cathedral whilst you're there (it has the tallest spire in Britain), and bear in mind that whilst it's free to look around and visit Magna Carta, the recommended donation of £7.50 per adult is greatly appreciated to keep the Cathedral open for visitors. After you've finished at the Cathedral have a little wander around the green and the surrounding area (travel tip: walk through High Street Gate, it's really pretty), before heading to a nearby cafe for lunch. Some suggestions include the Bell Tower Tea Room overlooking the Cathedral, and Boston Tea Party, a South West chain that feels like a cosy, independent cafe selling home-cooked food and great coffee. After lunch, pick up the car and set off for legendary Stonehenge which is only a 20-minute drive north along the A360. This famous stone circle is one of Britain's most iconic landmarks and is thought to date back around 4,500 years with archaeologists believing it was constructed gradually from 3000 BC to 2000 BC. Its construction and purpose, however, are still debated today as there are no written records detailing its origins, and the myths surrounding the stones are one of the best parts of this attraction. Theories range from the spiritual to the supernatural, and there's loads of speculation as to how the stones were moved and positioned so perfectly without the sophisticated tools and machinery to do so. Go for a walk around the stone circle and come up with your own theory on how the stones got there (our bet is aliens), and stick around to visit some of the sight's other attractions if you want to. These include a group of Neolithic houses built to replicate how people lived 4,500 years ago, the Standing in the Stones exhibition which offers a 360-degree virtual simulation of what it would be like to stand amongst the stones during the summer and winter solstices, and the Stonehenge Exhibition which offers some insight into the landmark and displays over 250 objects uncovered in the area. Every part of this amazing attraction is super interesting, so we'd recommend spending the whole afternoon here seeing as much of it as you can. General admission costs £17.50 for adults and last entry is at 3pm with the site closing at 5pm. You've had a Devon cream tea, you've devoured a classic fish and chips, now it's time for another British staple - hearty pub grub (aka a meal at a pub) - so drive back into Salisbury, freshen up at your hotel, and head to the 14th-century half-timbered Haunch of Venison. As one of Salisbury's oldest pubs, this is the ultimate rustic spot for your British pub experience, and to fully soak up the atmosphere we'd recommend first having a drink in the characterful downstairs bar before heading upstairs to the simple yet elegant restaurant. Admittedly the food has a touch more class than some of your standard British pubs, but they still sell many of the classics including sausages and mash, steak and chips, fish pie, and of course fish and chips (if you're up for round two). Expect to also find some great vegetarian options, and to head back to your hotel (very) full of your new favourite British dish. Set off early on day ten - you've got a lot of road to cover to get you from Salisbury to Brighton, taking the most scenic route possible through the South Downs National Park and stopping off in Chichester along the way. Your scenic route from Salisbury to Chichester avoids the busy M27 motorway and instead takes a detour slightly north through the South Downs. To get to the picturesque rolling hills of this national park, take the A36 east out of Salisbury and join up with the B3335 before enjoying this lovely area of countryside as you use your map or sat-nav to follow the B roads east. Try to end up close to South Harting where you can join up with the B2141 which will take you south into Chichester. By day ten of your road trip things could go one of two ways: either you'll be brimming with enthusiasm to make the most of what little time you have left and want to do as much sightseeing as possible, or your energy levels will be wavering a little and you'll be in the mood for something relaxing before you hit up Brighton tomorrow. Either way we've got you covered, and have come up with two different suggestions to suit your mood (as well as cater for the unpredictable British weather). Option 1 - If it's a warm and sunny or crisp winters day and you're after the chilled option, we'd recommend staying in the car and driving south past Chichester to the Witterings. 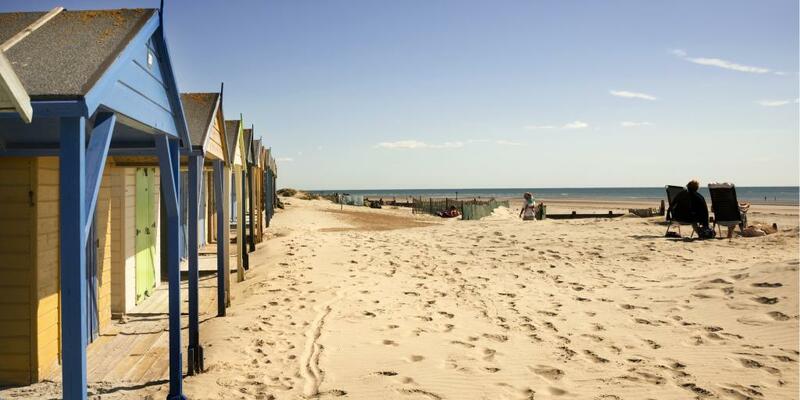 These two sleepy seaside villages, East and West Wittering, are perfect for a spot of relaxed wandering and gift shop browsing, followed by a sprawl on the golden sand or a chilly walk along the water at nearby West Wittering beach. The beach holds a Blue Flag Award, and is a beautiful unspoilt spot to enjoy some sandy coastline in contrast to the rocky shingle of the Jurassic Coast. Spend a leisurely few hours here, grabbing a hot tea or an ice cream from the cafe (depending on the time of year) and enjoying the area's natural beauty. Option 2 - If the weather's not great or you're just in the market for some more sightseeing, drive into Chichester centre, leave the car in New Park Car Park and go for an explore. This city has a fascinating history as a Roman settlement, and is home to another stunning cathedral, so take a look around to get a feel for the place. We'd recommend walking the city walls (the most intact circuit of Roman defenses in the south of England) to see the heart of the city, following the mile and a half trail around its historic sights, before ending up at the Pallant House Gallery for a cultural indoor activity where you can shelter from the weather if you need to. This modern British art museum explores contemporary art from 1900 to the present day, and is housed in a beautiful 18th century townhouse that's a work of art in itself. Spend a couple of hours browsing the art and taking a break at the Pallant Cafe before you're ready to drive on to Brighton. Set off from Chichester with enough daylight left to make the hour and a quarter drive to Brighton before it gets dark, heading back into the South Downs National Park and following the A283 east. Be sure to drive through the picturesque village of Steyning for a little more British small-town charm before heading south and along the coast to Brighton. Play a round of UV crazy golf at Globalls - quirky, jungle-themed crazy golf course Globalls features life-sized animal sculptures and crazy wall art, all glowing in a rainbow of neon colours under the UV lights (wear white so you can get in on the glowing action). This is putting like you've never experienced it before, and a unique way to spend a fun evening in Brighton. See a movie at the Duke of York's Picturehouse- recognised as the oldest function-built continually operating cinema in the UK, the Duke of York's was built in 1910 and screens a diverse range of movies, from new releases, to foreign productions, to cult classics. Head here for a spot of cinematic culture, or just catch that film you've been meaning to see for ages. Have a pint in a cave at The Tempest Inn -if you just fancy a quiet drink, then The Tempest Inn is a must. This seafront pub sits right on the beach, boasting uninterrupted sea views and selling local Sussex beers and great cocktails. The real gem of this pub is, however, downstairs, where you'll find a warren of pink-hued caves where you can cosy up with a pint; you may not get the beach views, but for the ultimate drink-with-a-difference, it's definitely worth the sacrifice. It's the final full day of your south England road trip, so make the most of it with one last early morning, kicking off your self-guided walking tour with a visit to the unique Royal Pavilion. 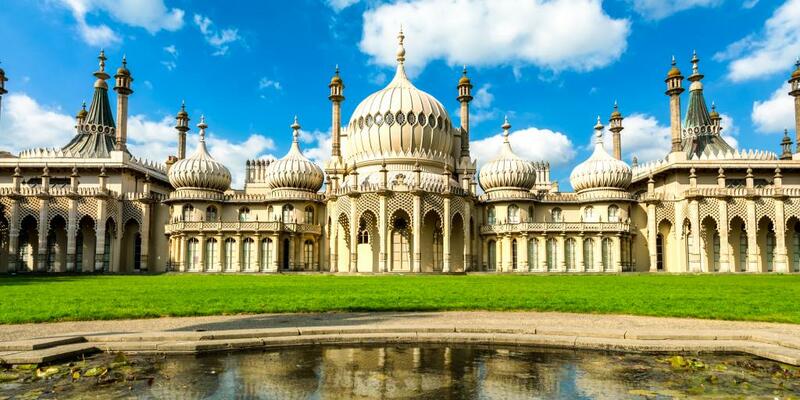 Originally built as a seaside pleasure palace for King George IV, this quirky building mixes regal opulence with exotic architectural styles from India and China, and it's unlike anything you will have seen so far on your road trip. Just seeing it from the outside is impressive enough, however you won't regret choosing to go inside to admire the enviable bedrooms, stunning reception rooms, lavish banqueting room, and vast kitchen all making it an impressive sight to behold. Admission costs £13.50 (or is 10% cheaper if booked online). Travel tip: if you're visiting around Christmas, part of the grounds is transformed into an ice rink between November and January where you can skate against the backdrop of the Pavilion as it glows with festive lights. An hour's skate costs £10 and it's best to book online in advance. The Lanes are another of Brighton's most iconic attractions, so once you've seen enough of the Royal Pavilion find this historic maze of alleyways which stretch south from nearby North Street. 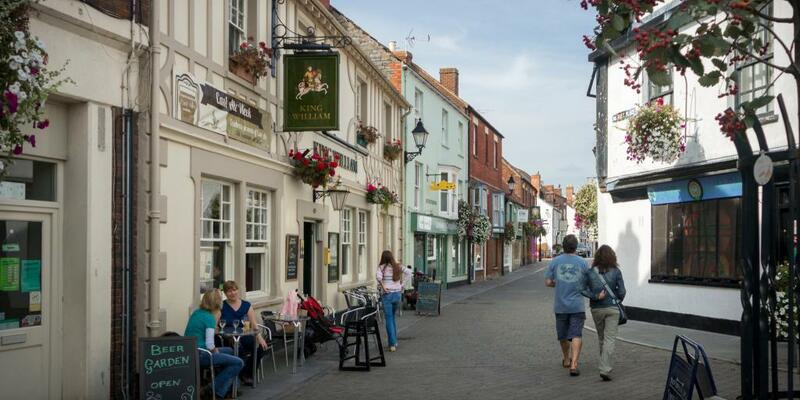 Located at the heart of what was once the fishing town of Brighthelmstone, these quaint lanes are lined with independent shops and boutiques selling all manner of antiques, jewellery, and one-of-a-kind clothing alongside quirky cafes, jazz bars and restaurants. Explore the whole area, indulging in some window (or actual) shopping as you soak up the atmosphere. 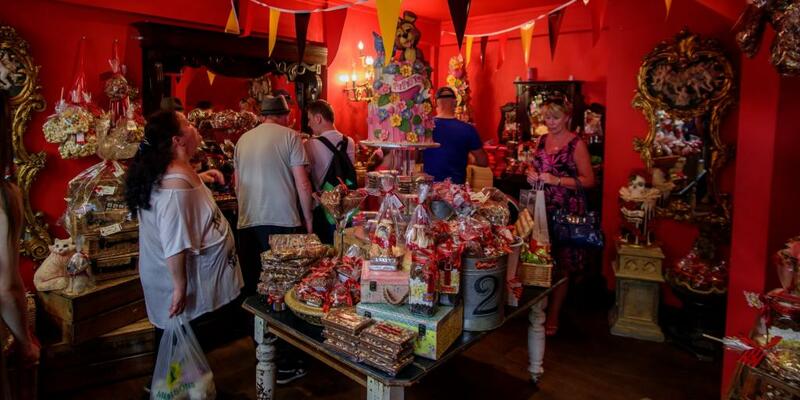 One shop we'd definitely recommend having a look inside is the fabulously-named Choccywoccydoodah which sells the wackiest chocolate creations and cakes that are nothing short of works of art. 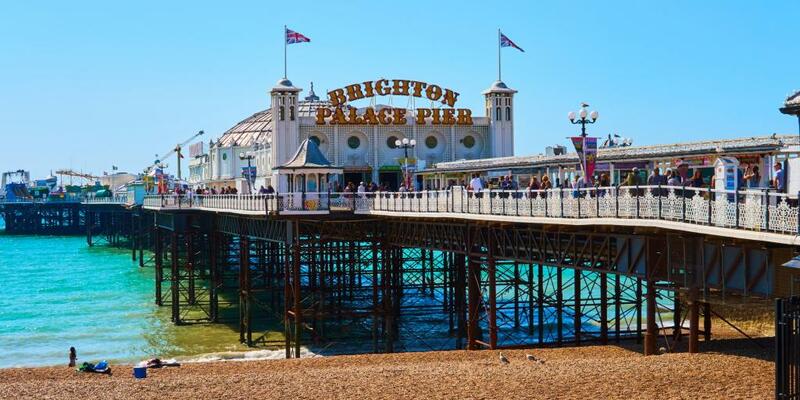 Walking all the way through to the south side of The Lanes will naturally bring you out at the seafront (either via Black Lion Street or Ship Street), so go for a short stroll east along the beach to end up at the famous Brighton Palace Pier. This 1,722-foot long Victorian pier is probably the most iconic sight in the whole city, stretching out into the sea and buzzing with thrill-seeking roller coasters, indulgent food stalls, and the Palace of Fun arcade which will transport you back to your childhood. Discover the length of the Pier, go on some rides if you're up for it (brave the Turbo Coaster if you fancy an adrenaline rush), and treat yourself to some naughty fast food for lunch (fish and chip round three?) to do this sight justice. Travel tip: whilst you're on the Pier make sure you look west across the water and spot the old Brighton West Pier. It was built in the 1860s and suffered various bouts of damage in the 1970s and 1980s, before catching fire in 2002 and being deemed beyond repair. Today you can just see its shell sitting on the water as a reminder of where Brighton's seafront entertainment began. From the Pier, walk back east along the beach (stop for a sit down if your feet are getting tired), and head towards the British Airways i360 for you final Brighton activity. 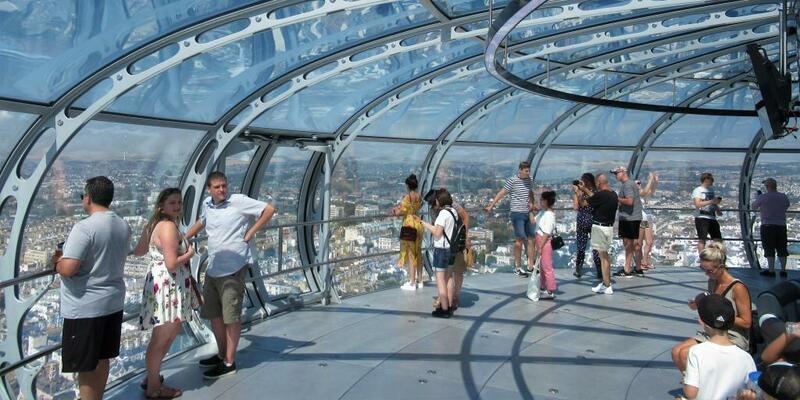 This giant glass viewing pod slowly rises 450 feet into the air offering panoramic views of the city, the sea, and the rolling hills of the South Downs in the distance. There's a bar on board, so grab a drink and toast your road trip as you enjoy the views, making sure you do a full circuit of the pod to take in the scenery at every possible angle. 'Flights'depart every half an hour and cost £16.50, offering a magical way to salute the beginning of the end of your road trip. You'll probably have a little time left before you need to get ready for dinner, so pick up some last minute souvenirs, have one final Brighton stroll, then head back to your hotel to get ready to go to the restaurant. Have a table booked at The Gingerman and head there in the evening to celebrate the amazing trip you've just experienced - you've seen a lot! This intimate, cosy restaurant close to the seafront is the perfect spot for a special yet unfussy meal focused on simple, quality ingredients and amazing flavours. The imaginative menu celebrates seasonal produce, with a great selection of British meat, fish, and veggie options and irresistible desserts (you can opt for either two or three course for a set price, and we definitely advise going for a pudding). Enjoy your food, reminisce about your favourite memories from the trip, and make the most of the final night of your holiday. The only thing on the agenda for day 12 is driving back to London to start your journey home, so pack your things and hop in the car whenever you're ready to go. Once you've made it back to London, drop off your hire car if you have one, spend a little time in London if you fancy it, then make your way to the airport or train station. We hope you've enjoyed your trip!